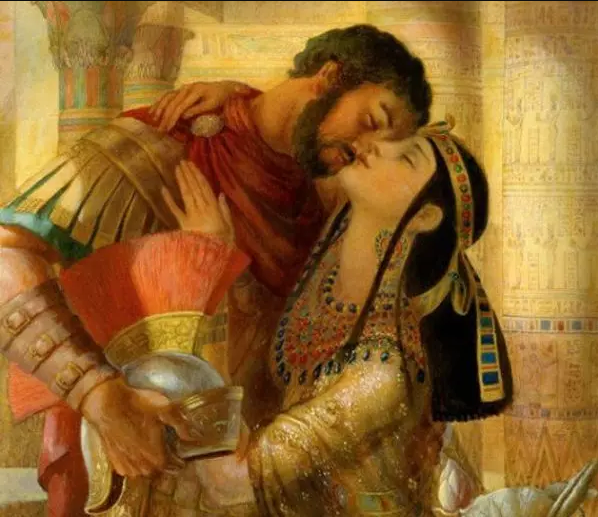 The love of Cleopatra and Mark Antony is part of ancient history, but it was not an ordinary relationship, it was full of complexity and tragedy. This stormy union was able to destabilize the Roman Empire. This is how Rome and Egypt were face to face, in a story of passion, infidelity, power struggle and a lot of drama. And although there were periods in which they were separated, Mark Antony always returned to the arms of Cleopatra. 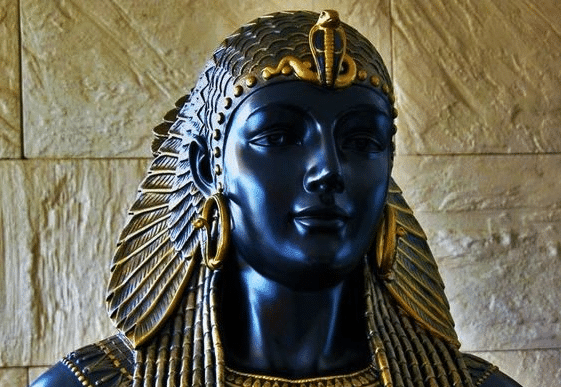 Cleopatra VII was the last queen of Egypt. She was determined to seize power and restore greatness to Egypt, so she did not hesitate to use her intelligence and female weapons to search for allies. The first to fall by her charms was Julius Caesar. After the assassination of Julius Caesar, Mark Antony appeared in the life of Cleopatra. He was a handsome military and Roman politician of the final epoch of the Republic; also nephew of Julius Caesar. When Mark Antony won the Battle of Philippi, he was not satisfied with the behavior of the Queen of Egypt. He sent for her to apologize, but she was clever and repeated her seduction maneuver. 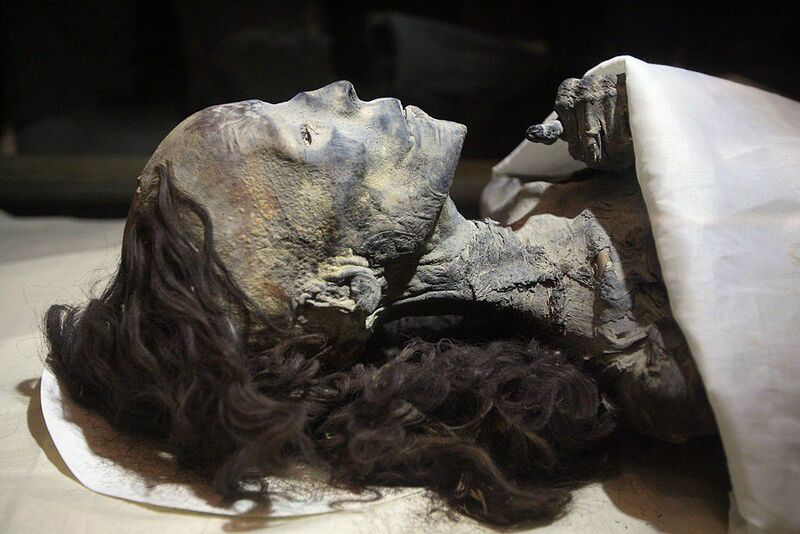 Four days after their first meeting, he accompanied her back to Egypt to settle in the Palace of the Queen of Alexandria, to live a passion that would last 13 years. Mark Antony left his family, political and military obligations, so he was declared an enemy of Rome. But she also fell in love with that strong and brave man who, although not as clever as Julius Caesar, offered her all his power to keep her at the head of a reign. Her love was plagued by ruptures, reconciliations and struggles for power and control. 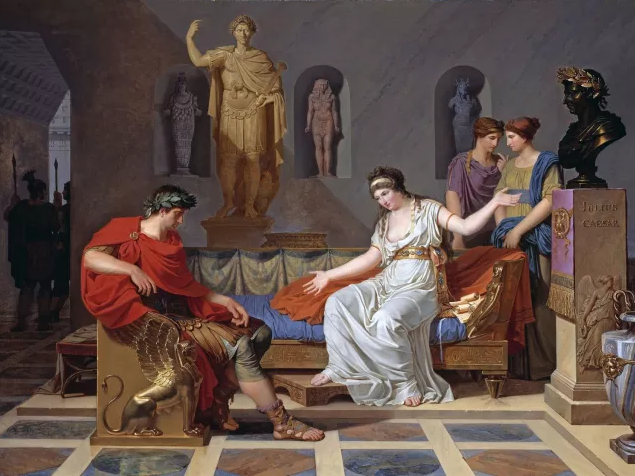 In the fullness of his love, Mark Antony had to return to Rome to marry the sister of Octavian (successor to Julius Caesar) to prevent him from starting a war against Egypt, but he failed to forget Cleopatra, so four years later, he returned to meet his beloved and marry her. 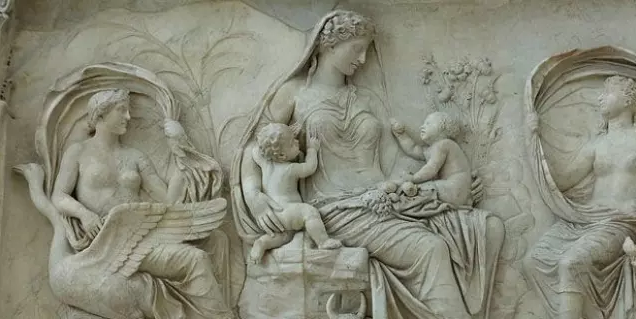 They had 3 children; the first twins: Alexander Helios and Cleopatra Selene. Then Ptolemy Philadelphus was born. Their romance ended tragically. In the midst of war, and with Octavius ​​and his army at the gates of Alexandria, Mark Antony was told that Cleopatra had died, which was totally false, but it affected him in such a way that he decided to take his own life with his own sword on August 1 of the year 30 BC. After the death of her beloved and the humiliation of being a prisoner, realising that she was destined for Octavian’s triumph in Rome. She decided to end her life. This happened a few days later, on August 12.